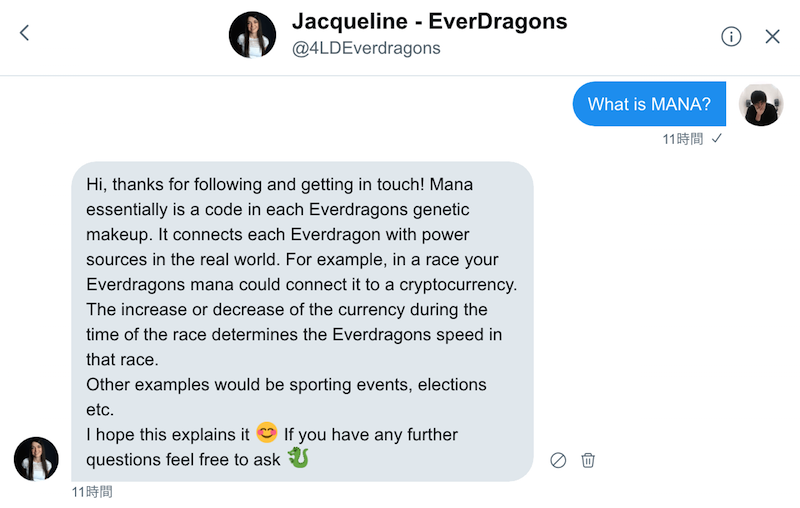 We both use ETH to buy Everdragons and take part in races. 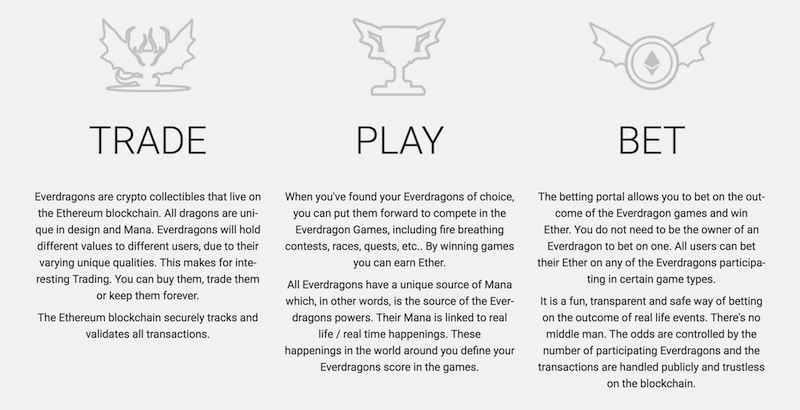 In a game associated with the course of cryptocurrencies, each Everdragons Mana determines which cryptocurrency it is associated with for that game. 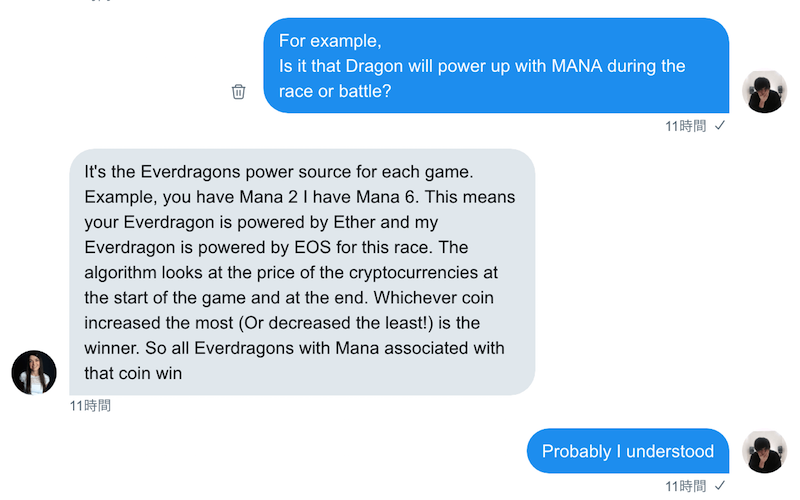 If you have Mana 2 and I have Mana 6 the algorithm looks at http://coinmarketcap.com and finds out which cryptocurrency is in position 2 and 6 etc. 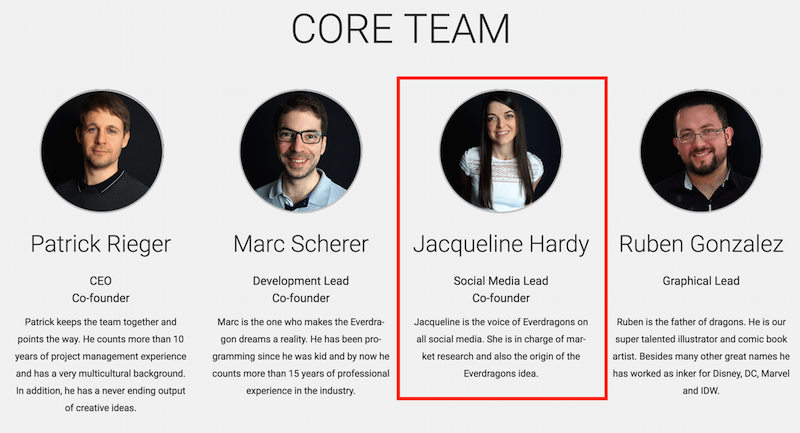 Indirectly in this particular game we are betting on the price course of cryptocurrencies. 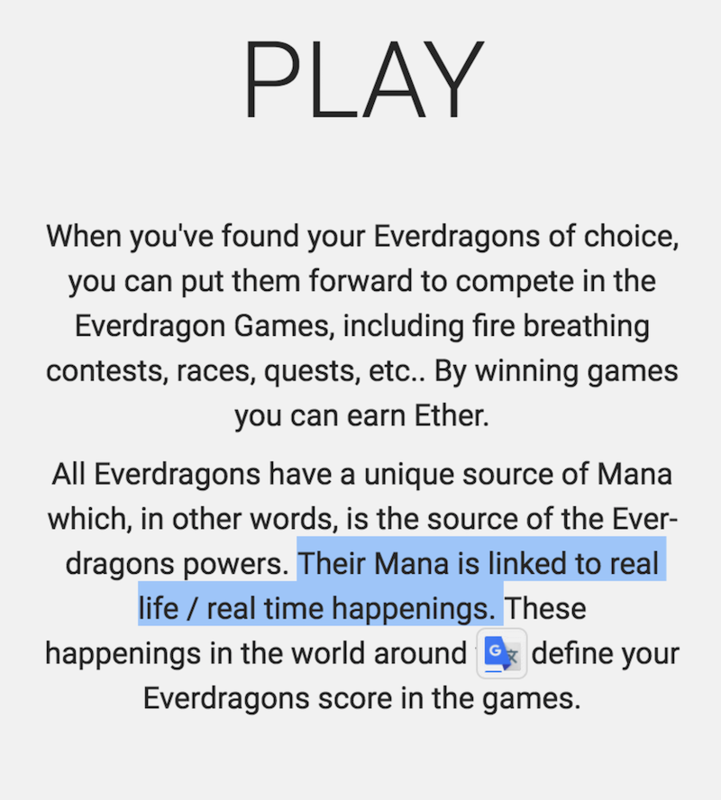 But there are many other games. 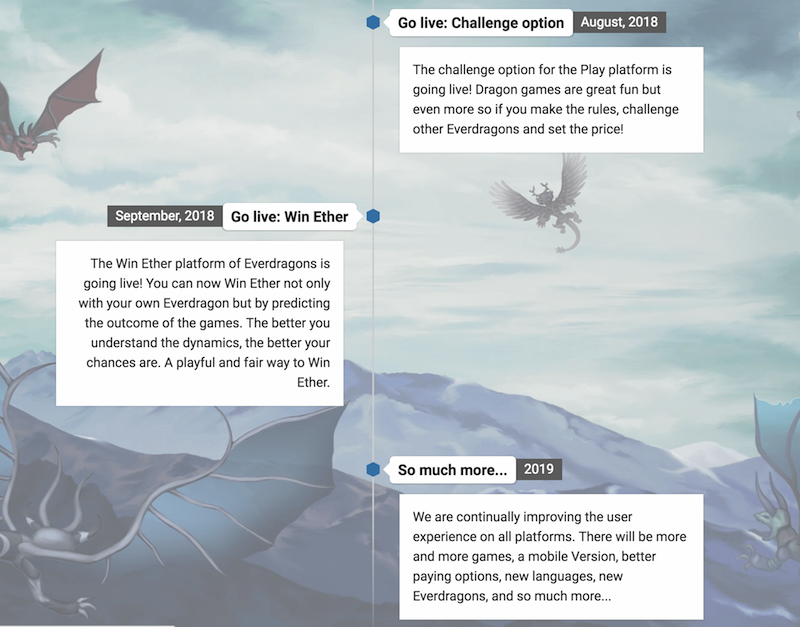 Cryptocurrency course is only one of the games. 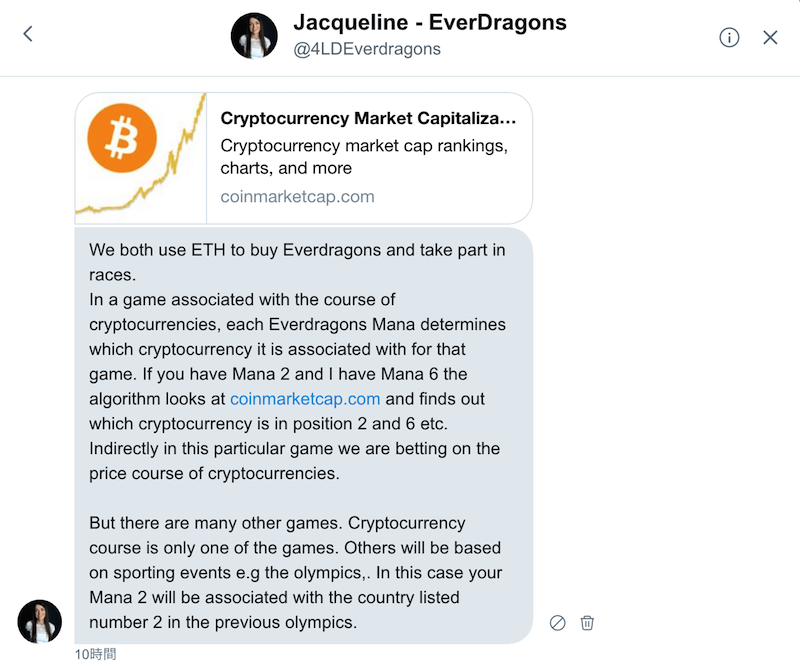 Others will be based on sporting events e.g the olympics,. In this case your Mana 2 will be associated with the country listed number 2 in the previous olympics. 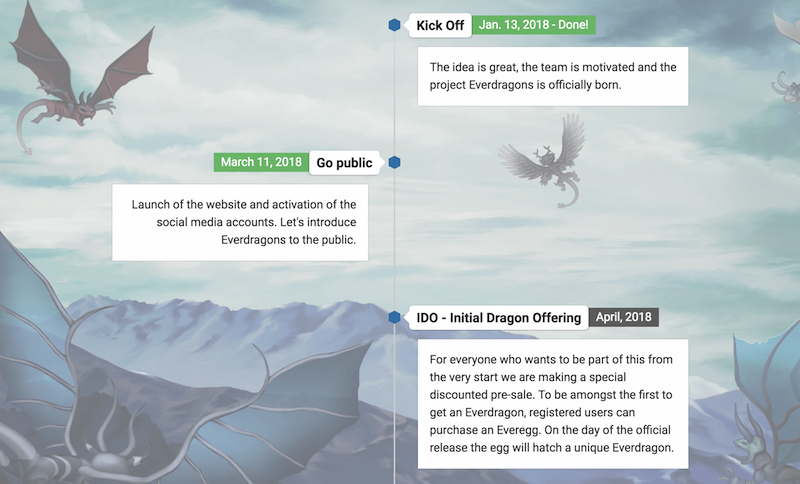 We're getting closer to the Dragon Egg pre-sale. 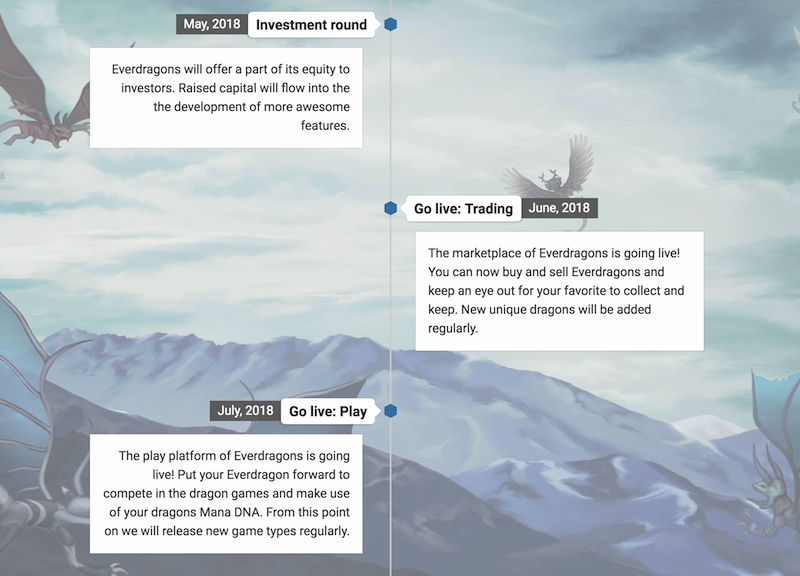 🐉Eggs will be sold for 0.08 ETH. 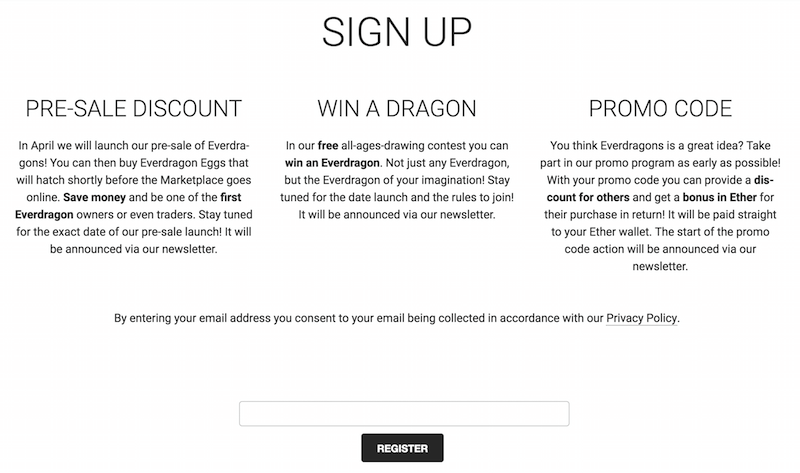 That's a 20-84% discount on the price of Newly Spawned Everdragons!